Fortunes for wool growers remain polarised. Although fine wool is internationally well sought after and delivering excellent returns to New Zealand farmers, crossbred wool prices continue to languish, with little to indicate that prospects will improve any time soon. New Zealand crossbred wool growers depend heavily on Chinese manufacturers, who in recent years have typically purchased around 50 per cent of our wool clip. Of late, that has dropped back to just 32 per cent of New Zealand’s output, impacting significantly on prices. Although demand from China for New Zealand’s strong wools lifted 30 points in March, briefly boosting prices, this was a momentary increase only and the previous reduced levels have since resumed. Slightly more optimism surrounds those crossbred types that generally go into knitwear, such as the longer 50 to 100 millimetre shears and lambswool of about 30 microns and finer, which lifted slightly in April and May. Otherwise, demand is low. Complicating the picture for strong wools, stocks throughout the country of most types are high. Farmers, scourers, agents and exporters are all holding wool back from the market, both from last season and from this. With the lack of demand, those backlog stocks are building, meaning fresh demand will take time to translate into increased returns. Lack of due care can also lead to problems with overweight bales. Any bale exceeding 200 kilograms needs to be manually altered before it can enter the supply chain. With around 13 per cent of bales consigned from farms across the industry overweight, that is a high degree of inefficiency that could be easily remedied in the wool shed. For fine wool, the story is much more positive and appears sustainable. 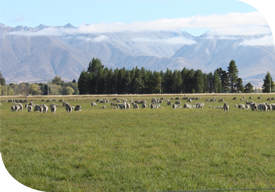 Following technology advances enabling fine wools to be used in leisure wear products, outdoor apparel and cyclewear, demand for New Zealand fine wool is strong and steady. As consumers become more aware of the benefits of natural versus man-made fibre when assessed for comfort, durability and environmental considerations, future demand for New Zealand’s fine wool clip appears assured.